Night 3 Includes a visit to the local pub, a short drive from the centre. British Riding Club Members Only, This Event is limited to only 10 places £160. this includes 3 nights straw bed stabling (shavings extra 7.00 per bale) & lessons with Emily throughout the weekend. British Horse Feeds is the equine feed division of I’Anson Bros Limited, based locally in Masham, North Yorkshire. I’Anson Bros Limited was founded in 1900 and is run by the fourth generation. After launching their flagship product Speedi-Beet, British Horse Feeds developed the super fibre conditioning feed, Fibre-Beet. Fibre-Beet is a carefully formulated combination of Speedi-Beet, alfalfa and oat fibre supplemented with beneficial levels of biotin. Its high level of easily digested soluble fibre for slow energy release, along with low starch and sugar also makes it suitable for laminitics. 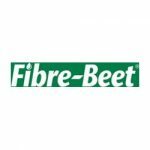 Fibre-Beet is designed to be fed wet and can be fed in larger quantities than Speedi-Beet and so is a superb conditioning feed. The Festival of the Horse Championships consists of two competitions; the Challenge and the Combined Training. This competition is designed to be a test of a horse and rider’s ability to negotiate a show jumping course together with a cross-country course. The Challenge consists of seven to ten show jumps followed by fifteen to twenty-five cross-country efforts. There are six Challenge classes. It will be a team and individual competition at the qualifier. For teams, two team members will take part in the Prelim/75 Section, riding a prelim dressage test and show jumping at 75cm. The other two members will take part in the Novice/85 Section riding a Novice dressage test and show jumping an 85cm round. Competing in the Combined Training in either section does not prohibit you from taking part at another level in the pure show jumping. The same horse and rider combination must complete both phases of the competition and elimination from one phase will result in elimination from the other. Both teams and individuals will compete at the area qualifiers, highest placed individuals will be invited to the championships from each section. The winning team will be decided from the best three scores in both phases. Halesworth & District Riding Club will be represented at this event. Flatwork / Dressage Training Camp, with Instructors Tammy Ruffles, Ruth Hurst and Hayley Chilver. A Deposit of £50 is required to secure a place, this is non-refundable unless a replacement can be found. The total cost is £125 for the weekend plus stabling & parking. On site meals prepared at The Gallery Kitchen will also be available at 50.00 per person for the weekend. The balance must be paid by 24th May 2018 and is also non-refundable.